When you think about classic cocktails, the Bloody Mary is up there with the very best of them; with its colourful history spanning back over 80 years, its undeniable distinctive taste and of course it's the best hangover cure there is. We officially crown the Bloody Mary the queen of all cocktails. Our first choice of serve style is OTT extravagance with maximum garnishes; including tall celery sticks, bunches of parsley sprigs and sliced tomato all finished with a stripy straw for an all-together fun and fabulous look. Our second choice is more understated and elegant; simply layer slices of radish, cucumber and lemon to create a a pretty fan detail on the edge of the glass, add a peppered rim and a single parsley leaf to finish. 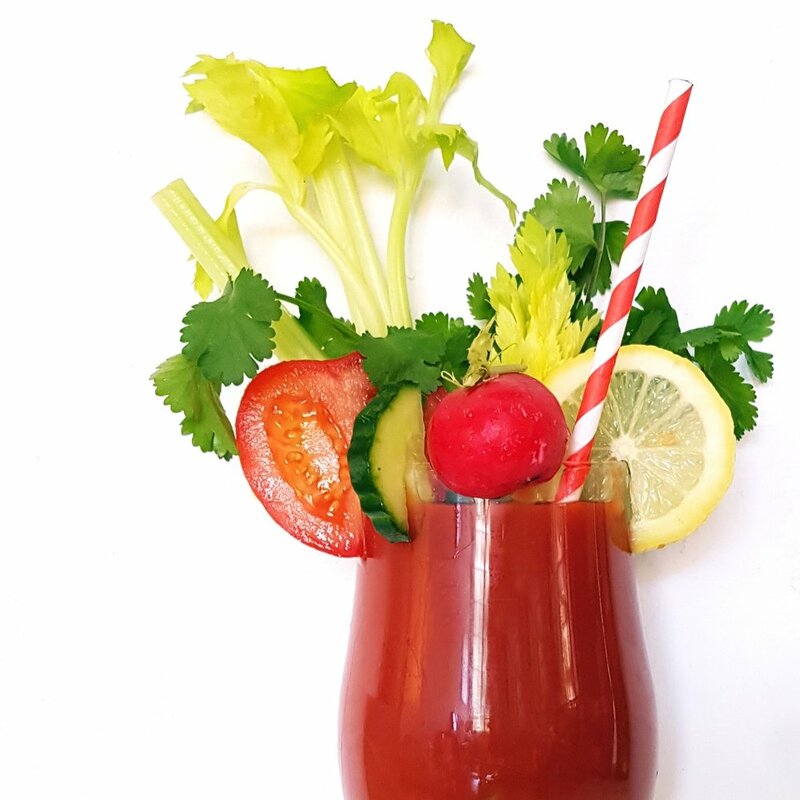 We offer Bloody Mary Brunches for all occasions, from large corporate get togethers, birthdays, launch parties and private views to small home gatherings. It's the perfect way to kick start your celebration; whether you choose to enjoy your drinks on their own or sip them alongside a decadent brunch feast using the finest local ingredients. If you'd like to discuss how we can create a bespoke tailor made brunch party for you, email us now.